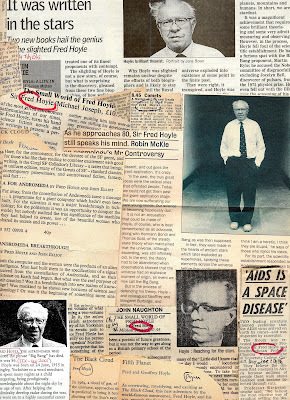 Born in 1915, his autobiography ‘The Small World Of Fred Hoyle’ (Michael Joseph) reveals him to have been a child with little tolerance for frivolity. Whereas young Patrick Moore admits to an affection for the super-heroic ‘Captain Justice’ exploits in ‘Modern Boy’, Hoyle boasts only of his ability to write out the multiplication tables up to twelve-times-twelve at the age of four, with his early reading extending from ‘Greek Myths And Legends’ to TE Lawrence’s ‘Seven Pillars Of Wisdom’, with a special mention for Stanley Eddington’s science book ‘Stars And Atoms’ (1926). From Bingley Grammar School, through Emmanuel College, Cambridge and into his career beyond, there’s a real sense that the process of intellectual jousting over theories was the overriding source of pleasure in his life. Yet he was also a populist figure, not only responsible for a series of highly original SF novels, but with even his more esoteric ideas spilling out raw into the mainstream. Probably we were untypical. 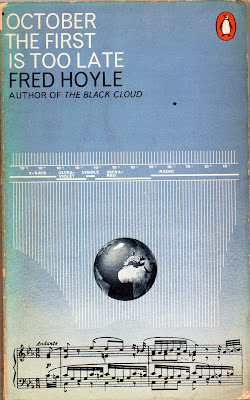 In a schoolyard where you were more likely to hear discussions of Hull City’s next home match at Boothferry Park, I remember arguing in favour of Hoyle’s ‘Steady State’ cosmology against the upstart theory Hoyle himself had derisively rubbished as the ‘Big Bang’. The idea of an eternally infinite universe continually renewing itself seems more aesthetically pleasing than this noisy disruptive opponent. A universe of endless change, in endless changelessness, considered against a vulgar special-FX detonation. Even Brian Aldiss calls it ‘poetically ingenious’. Many astronomy books at the time, including the Patrick Moore’s in the local library, devote equal-opportunity space to the two conflicting concepts, without decisively advocating either. Hoyle, with colleagues Hermann Bondi and Tommy Gold, had more or less devised and developed Steady State since around 1947. With a tangible animosity he dismissed the rival theory as ‘an irrational process that cannot be described in scientific terms.’ Even when, at one point mid-lecture at a Royal Society meeting, a young Stephen Hawking had the temerity to contradict him. But it seems that both me, and Hoyle, were mistaken. Cosmic Microwave Background radiation, gravity waves and the Planck space telescope seem to indicate that Hawking was correct. But as he notes, through his character in ‘October The First Is Too Late’, ‘if universal approbation represented a hundred per cent on a scale of appreciation, then to be universally well-known, but disliked, was already worth fifty per cent. 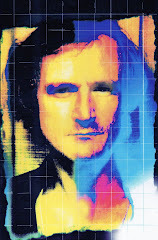 To be entirely unknown corresponded to the zero mark.’ It seemed to be an equation he was quite content to abide by. 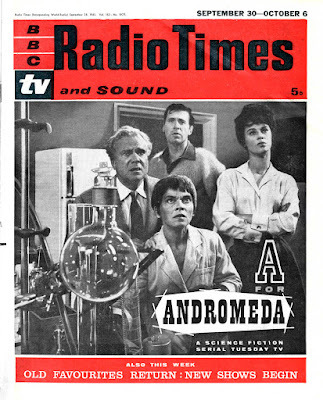 Beyond academia, following his breakthrough fiction success with ‘The Black Cloud’ (1957) and ‘Ossian’s Ride’ (1959), Hoyle undertook a number of collaborative projects, with John Elliott (for ‘A For Andromeda’, 1962 and ‘The Andromeda Breakthrough’, 1965), and with his non-scientist son Geoffrey Hoyle (‘Fifth Planet’, 1963). Hence ‘October The First Is Too Late’ was his first solo work of fiction for a number of years, as though its motivating ideas held a special significance for him. Perhaps in recognition of the major source of pleasure in his life other than science – which was music. Written in the first person by a composer referred to only as Richard, Hoyle demonstrates he was as comprehensively informed on the clash between avant garde electronics and orchestral classicism as he was on combatative science. He opens by declaring ‘my story (this novel) is built from notes as I made them following this incident.’ And chapters unfold in musical configuration – Prelude, Fugue, Intermezzo and Tempo de Minuetto. In the narrative itself, the composer debuts a new piece at a Cologne Festival to an unappreciative reception. Meeting old friend scientist-mathematician John Sinclair after the performance, the two set out for a long-postponed hiking expedition in Scotland, with a caravan hitched to a borrowed car, from St John’s Wood onto the A1, Scotch Corner to Mickle Fell – where Sinclair inexplicably disappears for thirteen hours. They continue through Glasgow and gloomy Loch Triochtan where, following another brief separation while bathing in a Glen Etive stream, Richard notices that a familiar strawberry birthmark he knew to be on the small of Sinclair’s back is no longer there. A small but telling detail that will assume greater significance as the story develops. The SF content begins to kick in when John is abruptly recalled to New York in response to an unexpected ‘modulation at nearly a hundred megacycles’ detected in the extreme wavelengths of solar radiation. Relocating to San Diego, Sinclair’s calculations indicate that ‘the sun is emitting a sharply directed beam of infra-red radiation’, concluding that ‘someone, or something was using the sun as a signalling device’. Aliens? ET’s? extra-galactic entities? As ‘concepts go wildly astray’ Richard travels on Sinclair’s coat-tails, as a non-scientist layman observer, experiencing the moments on the reader’s behalf. Music runs a thread through the narrative, as he’s invited to play piano for party-guests while commenting authoritatively on the drawbacks and advantages of various pieces and techniques by Chopin or Schubert. He meets and beds actress Helena Summers at a Beverly Hills party, before flying out to the Hawaii radio telescope receiving array. As chapter six – ‘Agitato’, opens, war is declared, and Los Angeles is destroyed. War? Nuclear attack? These were Cold War years, with the situation in SE Asia (Vietnam) escalating. But a diverted Qantas pilot both clarifies and complicates the news, no – Los Angeles has simply vanished! Commandeering the jet the military confirms that not only LA, but the American mainland has reverted to a kind of pre-Columbian state. With Richard and Sinclair along as scientific advisers, they continue across the Atlantic to find London intact, reporting their findings to the Prime Minister at Chequers. It emerges that strange things are happening. The Earth has fractured into a network of different time-periods. Europe is in the throes of the Flanders campaign of September 1917, America is thought to be around 1750, Hawaii and England are separated by a month – the middle of August, and 19 September 1966. Hawaii, once known as the fiftieth state, has suddenly been promoted to become the first! And Russia is an endless plain of glass, a post-human distant future? The situation in the rest of the world has yet to be determined. There’s more than a suspicion that scores are being settled when Hoyle writes elsewhere that ‘when something really new happens, most scientists take the line of least resistance. They accept the explanation that involves the least change from their preconceived notions.’ For Sinclair it’s the research, the calculations that determine the conclusion, not an emotional bias. Although SF had dealt with such multiverses before – Murray Leinster’s ‘Sideways In Time’ (1934) conjectures a temporal accident that results in different geographical areas of the Earth coexisting in different periods of history, this was possibly the first instance of serious scientific speculation about the theoretical phenomenon. But by no means the last. More recently, quantum physicists and cosmologists have propounded similar variants on the idea. 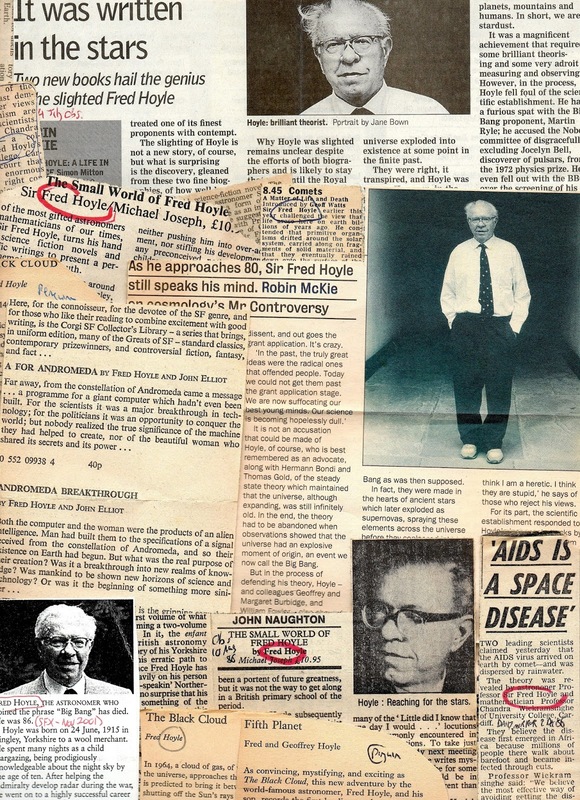 ‘Taking one as far as the shifting frontiers of science,’ to Hoyle, ‘or even beyond that.’ Within genre fiction different writers have explored the ideas Hoyle throws up, Ian Watson portrays a world split into segments in his short story “Our Loves So Truly Meridional” (in ‘Science Fiction Monthly Vol.2 No.1’ 1974), while Robert Charles Wilson’s visionary novel ‘Darwinia’ (Millennium, 1998) offers a well-imagined vision of trans-temporal parallelism. My own more modest “Horizon Chimerique” (in ‘Empire SF’ 1977) plays with similar ideas. More recently ‘Time’s Eye’ (2004), a joint novel by Stephen Baxter & Arthur C Clarke, uses the device of the alien-induced ‘Discontinuity’ to bring the worlds of 2037, Alexander the Great, Rudyard Kipling and Genghis Khan together for an all-action adventure. Hoyle also applies his critical approach to anatomising the limitations of science fiction itself. ‘Science Fiction is a medium that concerns, above all else, life-forms other that ourselves.’ Yet ‘what do we find when we read science-fiction? Nothing really but human beings. The brains of a creature of science-fiction are essentially human. You put such a brain inside a big lizard, and bang-wallop, you have a science-fiction story’ (the hyphen in ‘science-fiction’ is Hoyle’s). The conundrum he’s expressing is that, as humans, it’s not possible for us to conceive of a genuinely un-human intelligence. And ‘if this rather simple-minded notion stopped at science-fiction it wouldn’t be so bad. But as soon as we try to think seriously about intelligence outside the Earth that’s exactly the way our concepts go.’ The speculation of scientists is just as human-centric. 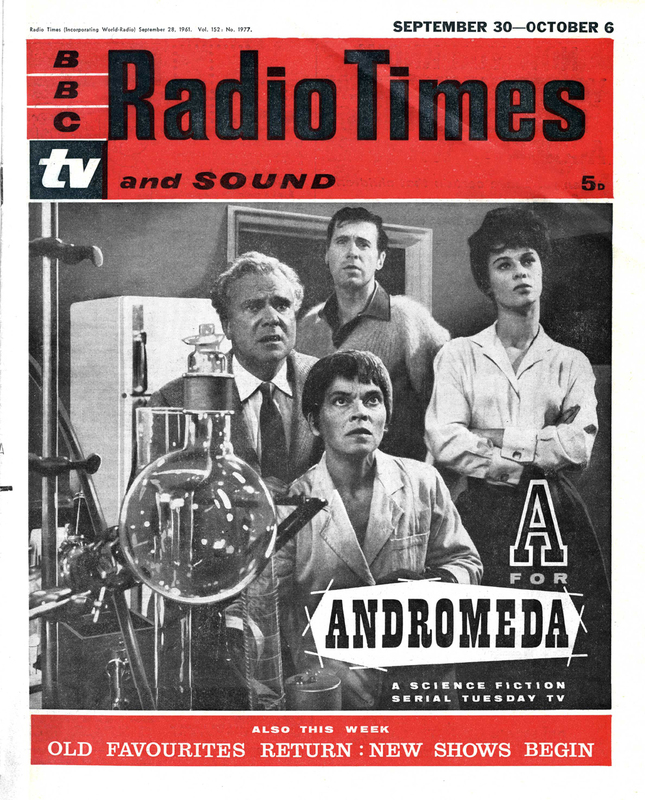 Hoyle had attempted to work around this conceptual impasse before, with the sentient interstellar ‘Black Cloud’ (1957), and with radio transmissions from the stars with the TV-series ‘A For Andromeda’ (1962), in which codes contain ‘the information needed to construct a human being.’ Although, for the small-screen black-and-white serial, illuminated by Susan Hampshire’s beauty, the future is portrayed as British Rail stations using clean diesel-electric trains, Hoyle’s ideas were never so constrained. Meanwhile, in the novel, new urgencies emerge. Presenting new dilemmas. Clear-sightedly Hoyle concedes that post-imperial Britain had been drifting in a ‘thoroughly aimless fashion’, pretending a global influence, yet dependent on a real world-power that suddenly – after the chronoclasm, no longer exists. With America effectively neutralised, Britain’s first priority is to end hostilities in Flanders before the mass slaughter of Passchenaele. And yet he asks, why the urgency – in 1966, to halt the war, while in 1917 the only acceptable outcome had been victory? Of course, the perspective of history has proved the futility of the conflict. But would a negotiated settlement with Hitler’s regime be the equally preferred option if the situation they faced was 1944? And weren’t both World Wars finally brought to a conclusion by American intervention – an eventuality that would now no longer happen? By chapter ten – ‘Entr’acte’, the narrator is joined by Alex Hamilton and some academics for a trip to investigate a Greece which has reportedly reverted to its Classical period. Sailing around Portugal and through Gibraltar, because planes would clearly terrify the inhabitants, and there will be no airports anyway, they arrive in the vicinity of Crete, and head north, bypassing Hydra to Piraeus, to arrive in Pericles’ Athens. Warmly, if curiously received in 425BC, he transports his piano to a temple of Dionysus where he’s inspired to compose a new symphony expressing all the recent weirdness he’d lived through. In the same way that Hoyle’s barely-sketched characters are voices for his ideas, he intriguingly suggests that the gods of Olympus are regarded less as external entities, and more as aspects of the human psyche. And as the fire of his composition seems to imply Dionysus, he is playfully challenged by Melea, apparently a priestess of Apollo, to a musical competition – in the same way that the mythical satyr Marsyas had challenged Apollo himself. Sensing easy victory with the technical superiority of his piano and the whole of western music to draw upon, he’s at first amazed by the complexity and sophistication of the music he has to equal, played behind a screen as though ‘it might be the god himself who was opposing me.’ He replies with Chopin, reaches for the most powerful weapon at his disposal, Beethoven’s Opus 106, and finally – compelled by the rules to perform his own work, plays his latest Dionysian piece, while conceding defeat. Instead, they agree on a draw, and celebrate by making love. He awakes into a vegetarian, magnetic-powered Mexican future. Another zone of the temporally-fragmented world from which Melea – dropping her guise as a priestess of Apollo, had infiltrated Hellenic Greece incognito, in much the same way that he had. His music, and John Sinclair are also there. Sinclair had reasoned that, as there were past-time zones on Earth, there must also be accessible future-time zones too, and had set out deliberately to locate one. Six-thousand years into the future Richard finds that furniture levitates up from the floor, and his compositions are stored on huge two-foot diameter not-so CD’s. The visitors are shown a film documenting the intervening future centuries, a globalised vastly over-populated planet in which, by the twenty-fifth century, all other life-forms have died out. Then humanity itself comes close to extinction in the Great Disaster war… until slowly, civilisation re-emerges, expands, dominates the world, and destroys itself again. A cycle – ‘a kind of shocking social cancer’ that repeats itself over and over, every millennium. The American time-zone they’d flown over earlier was not the eighteenth-century, but the fourth-millennium! Until a kind of pacifist low-population culture had eventually emerged. But the temporal fracturing illustrates the conundrum that, although stable, Melea’s future is also static and unable to evolve. The future is a choice between destructive dynamism, or peaceful sterility. In this way Hoyle envisages a kind of Olaf Stapledon scenario. The inaccessible African time-zone could contain an even more distant future. The Russian plain of glass a bleak HG Wellsian world’s-end vision. As the period of juxtaposition approaches an abrupt end, in this time-stream, other time-streams – with other Richard’s and Sinclair’s must continue, in which the chronoclasm never happened. They must choose, should they stay or should they go? Should they stay marooned forever in this future, or attempt to return to their own vanishing time. Sinclair goes. The narrator stays. The mixed-up worlds disappear. The thought-provoking ‘Coda’ speculates that the entire time-fragmentation situation was precipitated by a higher level of future perception. That the solar modulations they’d detected were beams of information generating this strange new world of overlapping parallel time. Some kind of incomprehensible experiment, just as we ‘disturb a stone and watch ants scurrying hither and thither underneath it.’ Even stranger, Sinclair’s initial disappearance and lost birthmark are evidence that he had physically crossed over alternate worlds, and was now not precisely the same person as before. That the ‘real’ world of 1966 had continued unchanged, and all the events since had happened to two protagonist parallel selves. Hoyle’s fiction never went for the easy option. It’s also cautionary to note that his Wikipedia entry seems to have been infiltrated by ‘intelligent design’ bigots with an agenda to deliberately distort and misinterpret ideas he and colleague N Chandra Wickramasinghe express in his later books ‘Lifecloud’ (Sphere 1979), ‘Evolution From Space’ (1982) and ‘The Intelligent Universe’ (1983). It’s true that the universe remains a vast and mysterious enigma, and that he expresses the mathematically statistical improbability that a formless primeval chemical soup should have kicked off a complexifying process that led all the way to you and me. But then again, if that statistical improbability hadn’t happened, we’d not be around to ask the question anyway. And surely interposing a simplistic sky-god answer to it all is at best unhelpful, and at worst purposefully obstructive in closing off more serious avenues of speculation. 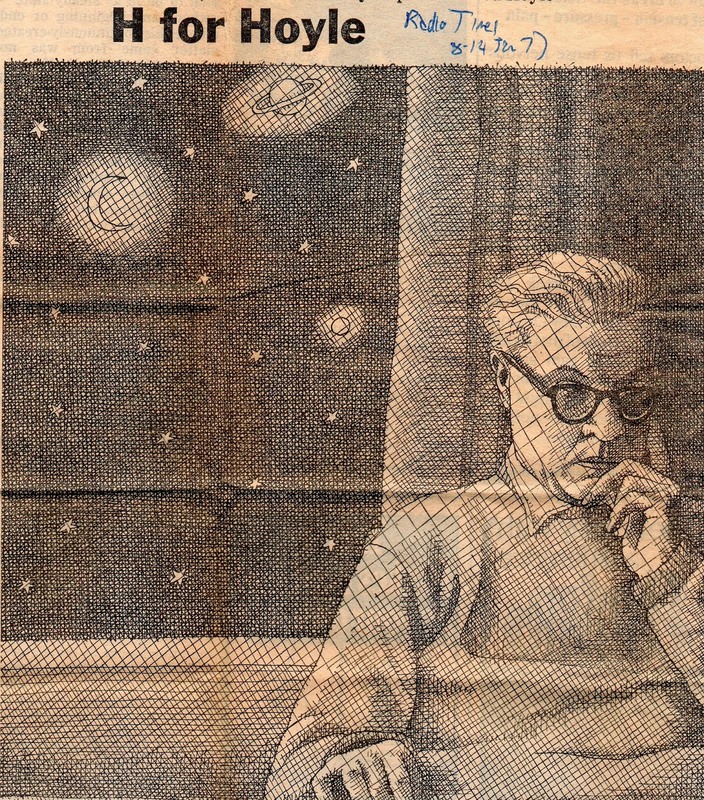 His novel ‘Fifth Planet’ centres on the solar system’s statistically improbable close-encounter with another passing star, ‘taking thirty-kilometres per second as the average speed of the stars relative to any particular star, and taking the mean density of the stars as one per cubic parsec, the chance of an approach to any special star was just ten to the minus eight for every thirty thousand years. So over three billion years the chance was one in a thousand.’ Yet, in fictional terms at least, he accepts the improbability of its happening. For Hoyle, it seems that when he made the seeming affirmation of ‘intelligent design’, he was using more the kind of metaphorical expression of awe and wonderment that Einstein used in his famously teasing quote about god not playing dice. It’s worth noting that he writes here that ‘the last thing I wanted was easy solutions beginning with the words ‘I believe…’. 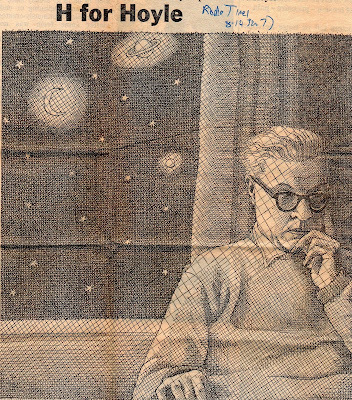 That’s the Fred Hoyle I recognize.